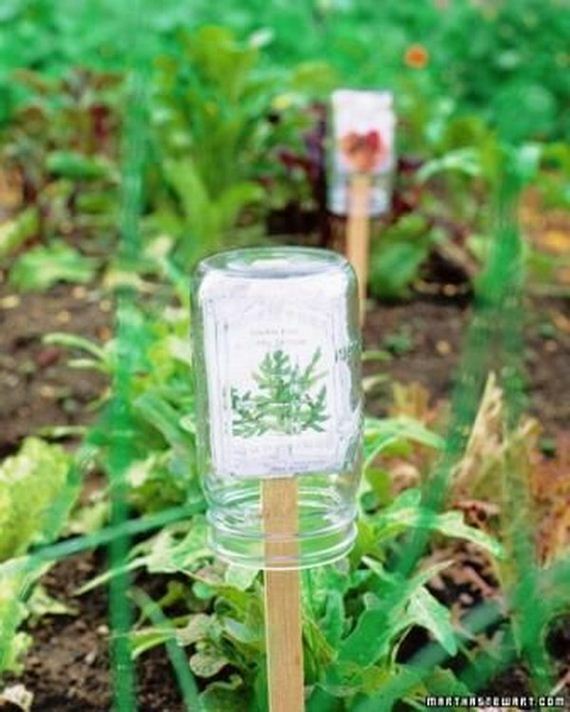 Today, you will see a gallery full of label and marker ideas for your garden, from sophisticated, to sweet and fun. We hope this gets your plant-loving creative juices flowing! 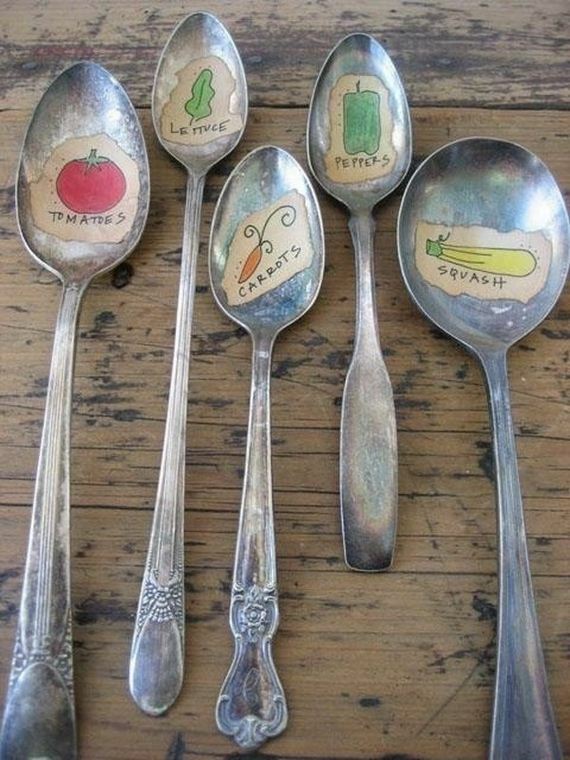 These vintage, intricately designed spoons make for really cool and different plot markers. It’s a bit of a shame to hide the handles, which are the coolest part, but the top with the labels – which you can hand draw like in this case or find online – is really cute yet functional. Get the tutorial via artsyvava. This is one of those really cool quintessentially DIY projects that are born out of a traditional décor concept. It is really easy to make because you can use twigs from your own garden, if you have them, and you don’t need much talent, because you’re not actually drawing the garden gnomes, just the rough shape. It is also really cool because you can color code with the gnome hats so you know which plot you’re looking at from a distance. Get the tutorial via swallowsheart. 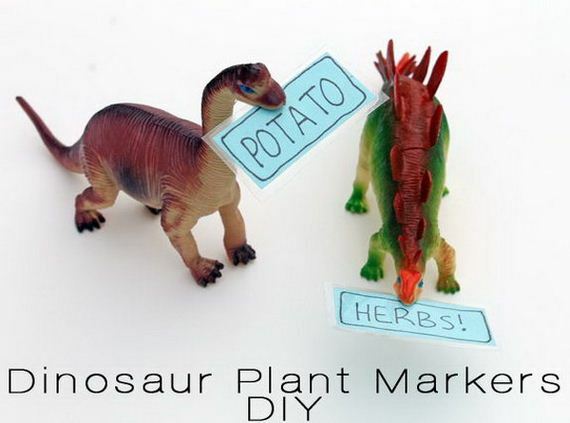 This DIY is really cute but doesn’t take any work at all, because all you do is take old dinosaur toys – from a son or brother’s collection, or even your own – and stick a label in their mouths. It looks quite cool and quirky though. Get the tutorial via punkprojects. 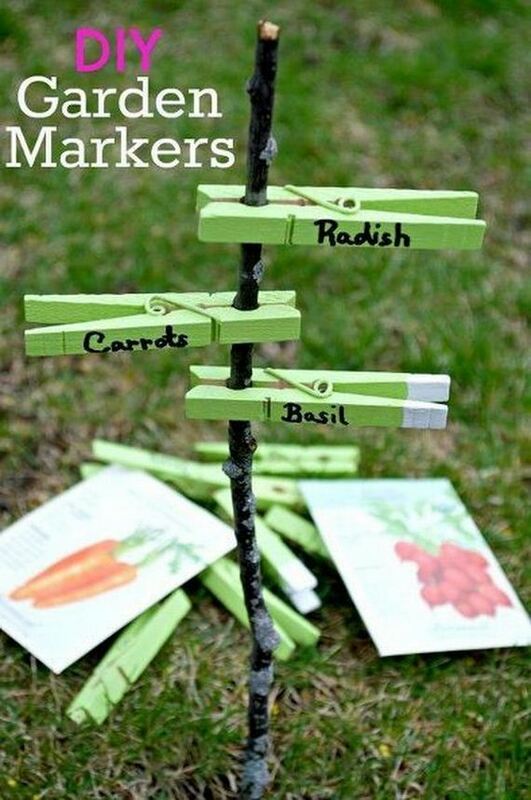 This is, once again, really easy to do, as all you need are clothespins, markers and a long twig or poker. All you need to do is secure the pins on the twig and you have an easy, convertible and cool marker. Get the tutorial via chatfieldcourt. These twig and branch markers are just about as simple and traditional as it gets. All you need to do is carve them, write your category in and stick them in the dirt – you can’t get much easier than that. Get the tutorial via marthastewart. 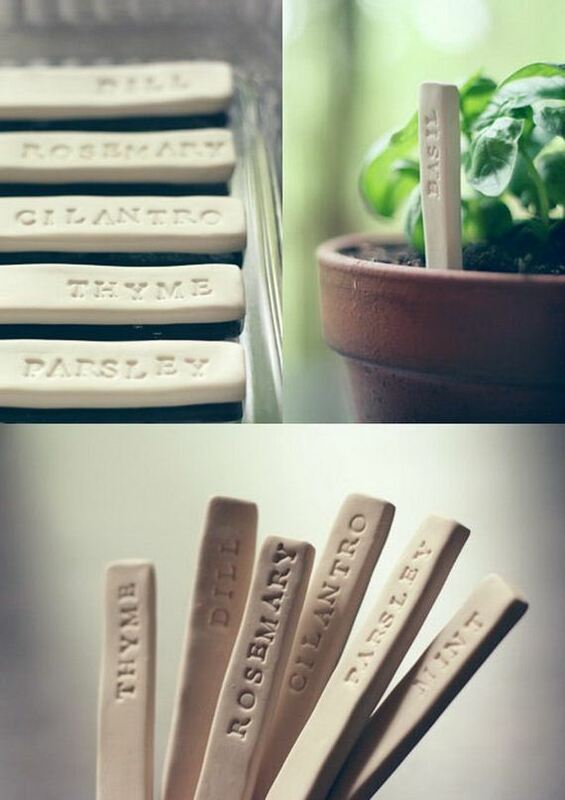 These brick garden markers have a quirky rustic yet modern feel about them which is traditional yet unexpected. 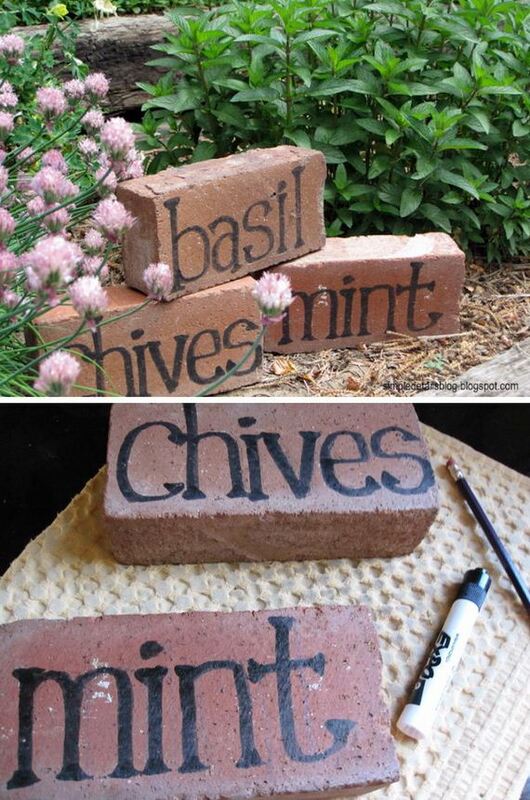 Again, they’re not that hard to do or change, if you have the bricks and paints handy, and they are quite resistant and good for holding things down, which may be a plus in some cases. Get the tutorial via source. 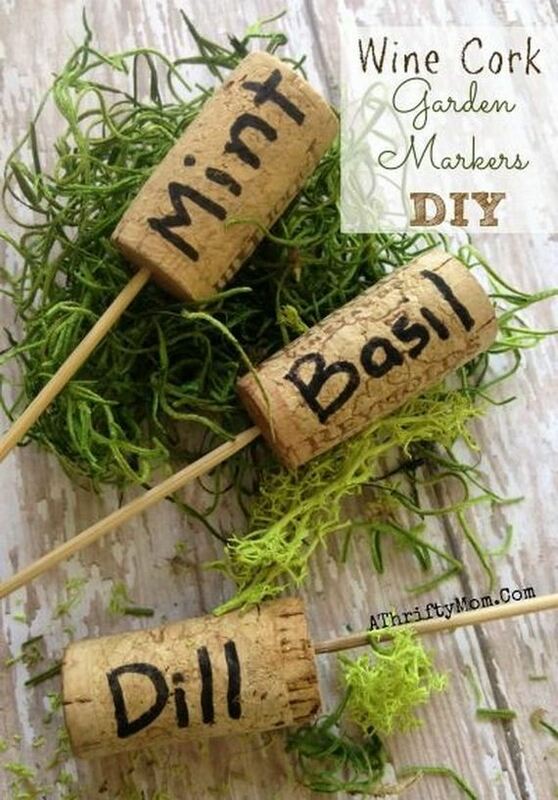 These wine cork markers, on the other hand, are purely and charmingly rustic. 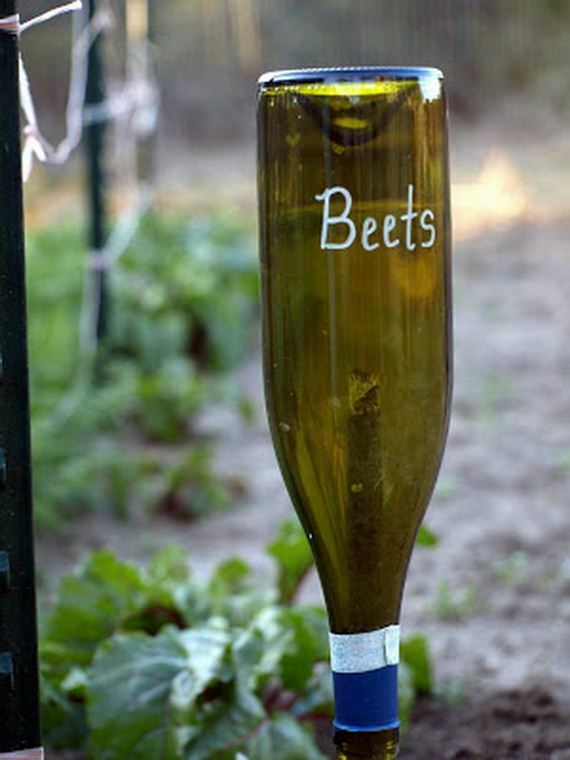 All you need is new or repurposed corks, some kind of long stick and markers or paint. 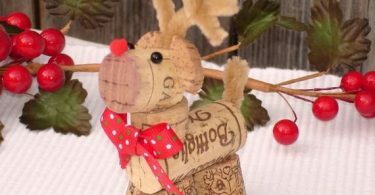 They are particularly ideal for small gardens, are these corks aren’t too big. Get the tutorial via athriftymom. 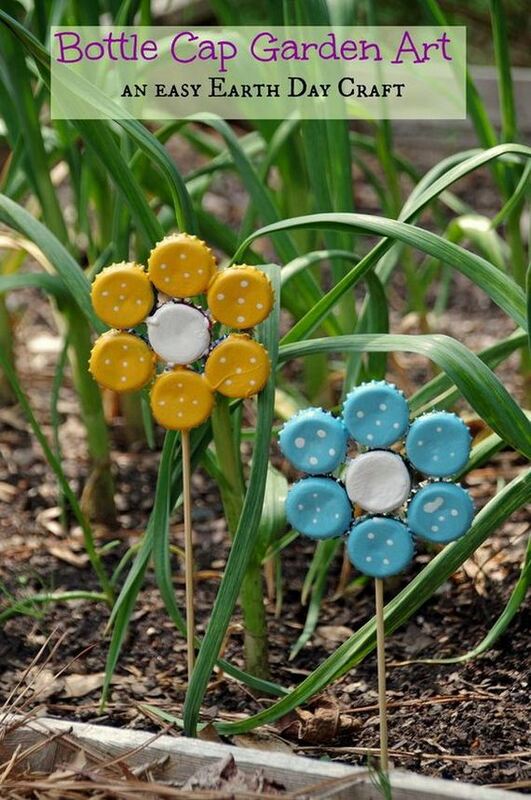 These wooden stick garden markers are a great project to do with the kids, especially if you’re going to repurpose ice cream sticks. Again, there is a chance for color-coding, which is always cool and useful. Get the tutorial via livingwellspendingless. 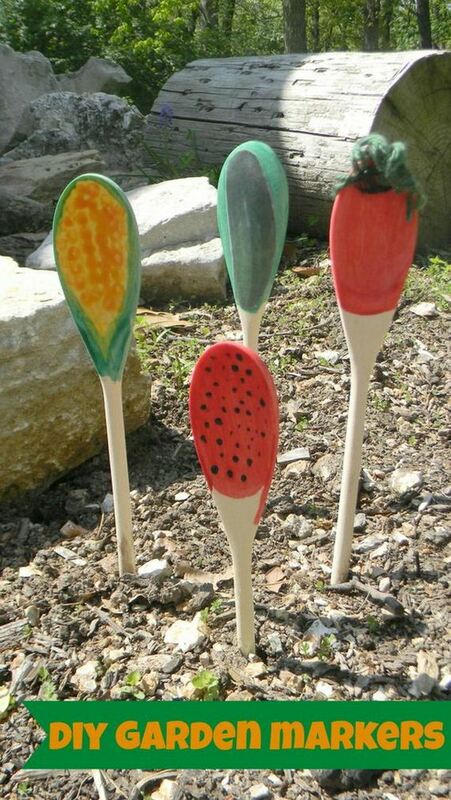 Another fun and colorful project where you can enlist the kids’ help, these wooden spoons will add a sweet and cheerful touch to your garden with their bright colors and patterns, especially during the early stages and the colder months. Get the tutorial via femmefraiche. Get the tutorial via rabbittalk. Get the tutorial via ready-set-read. 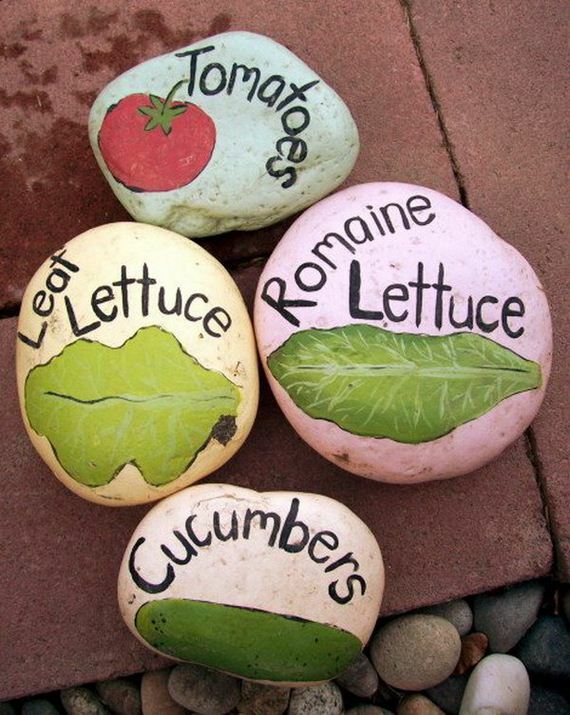 Marking your garden with rocks isn’t exactly a new idea, but those markers are boring and can get easily lost in the dirt. 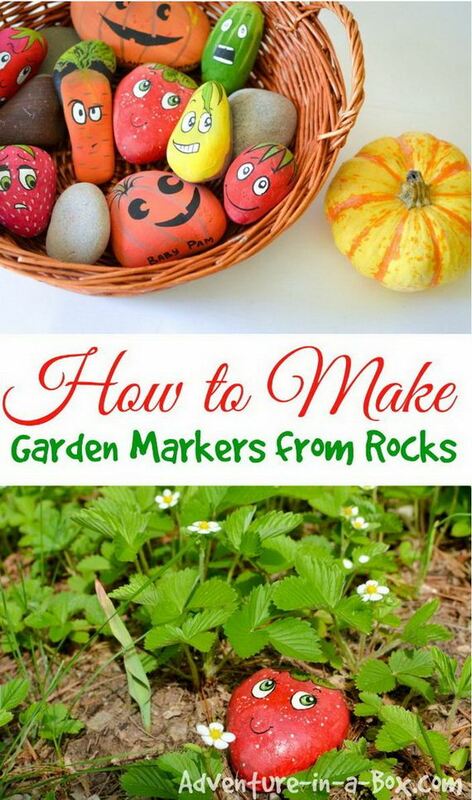 With this DIY you will get markers which are clearly visible, thanks to their bright colors, and easily identifiable, as they are decorated like the plant you’ve planted. Get the tutorial via adventure-in-a-box. 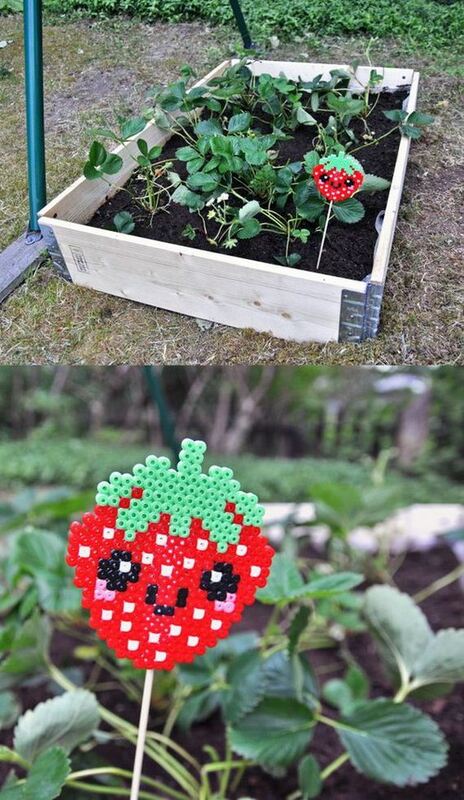 These strawberry bead markers are cute and colorful, but you will need to secure those beads tight and firmly, because they can easily get messy, especially in the outdoors, and you don’t want to have to dig for beads. Get the tutorial via beadbaby. 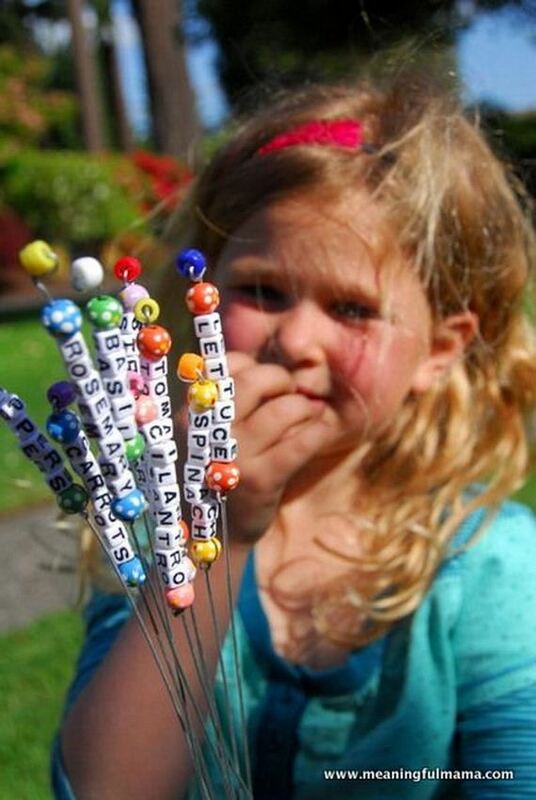 These beads-on-a-stick garden markers are seriously cute, and a great way to get the kids helping, both in making them and tending to the plants themselves. 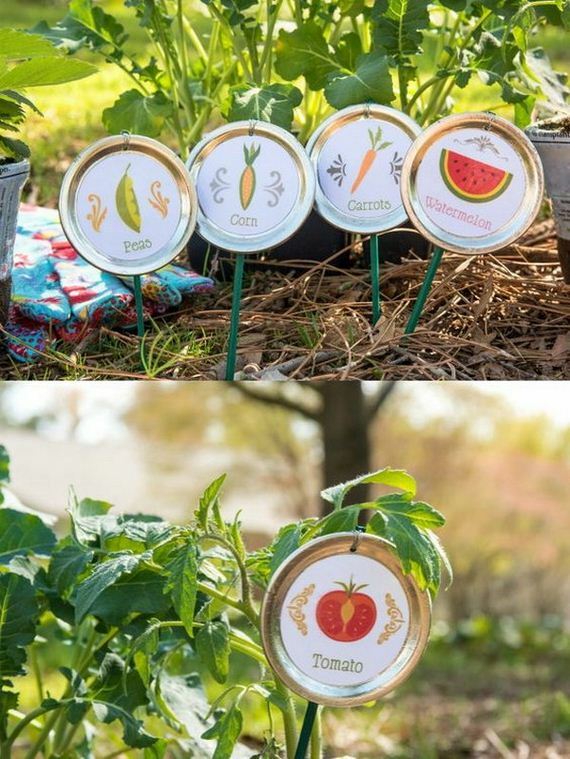 The letter block beads spelling the names of the plants are a great idea, but you can also color-code here to make identifying each plot even easier. Get the tutorial via meaningfulmama. Talk about functional-meets-pretty! 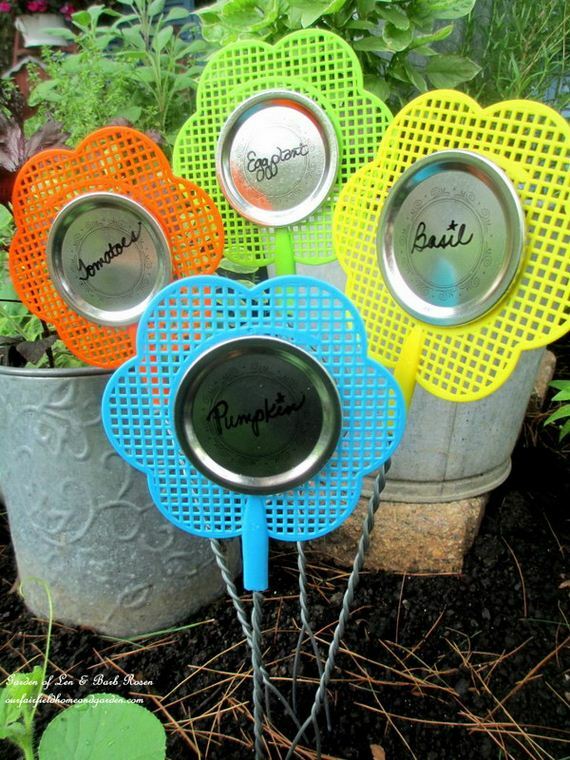 These bug swatter flowers can serve their original purpose as well as mark the plots, and they add a touch of cheerful color to your garden as well. Get the tutorial via ourfairfieldhomeandgarden. Who doesn’t like molding clay? It is both a creative and stress-relief activity that both adults and kids enjoy. These markers will blend in a little, unless you paint them, as clay and dirt are very similar colors, but this is a perfect project if you want to +practice your carving skills. Get the tutorial via witandwhistle. 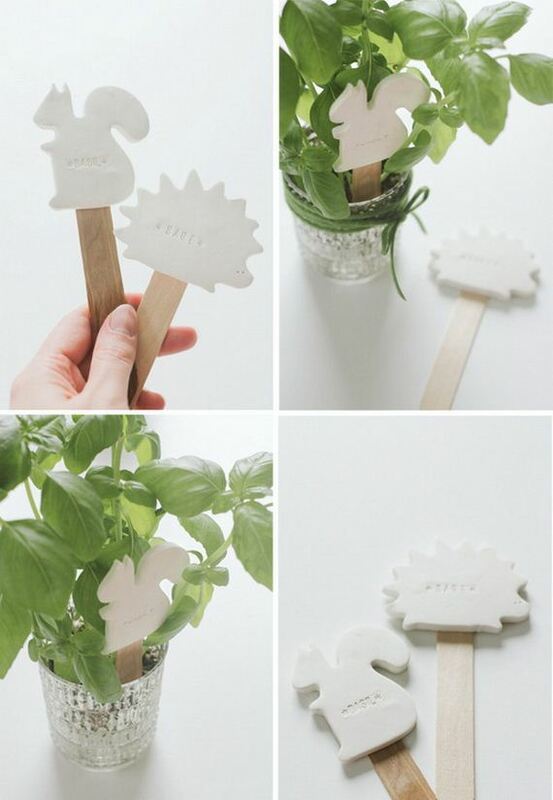 Now this wooden spoon plant marker is a truly ingenious project. It does require a little skill and practice, because you will literally carve and burn your designs into the spoon, but the contrast of the light wood and burned design is really beautiful. gardentherapy. 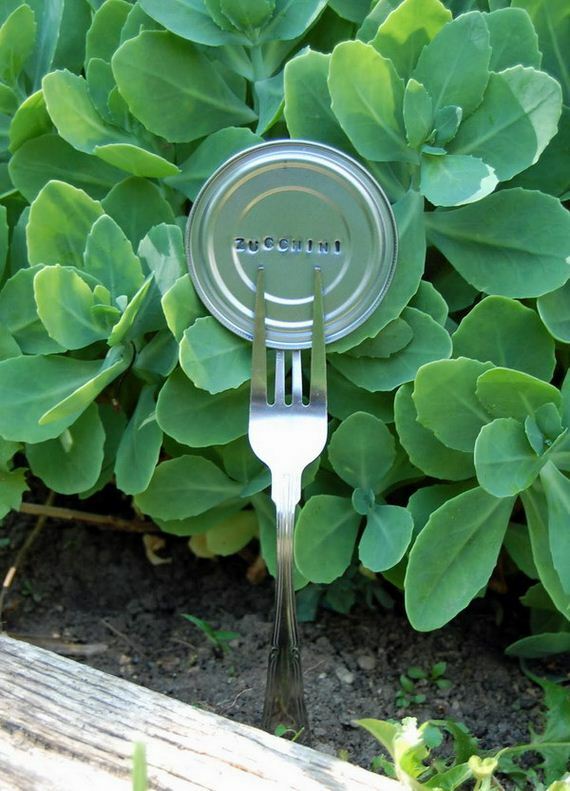 Recycling and upcycling materials is always a good idea, and these tin can lids look quite nice as simple markers. 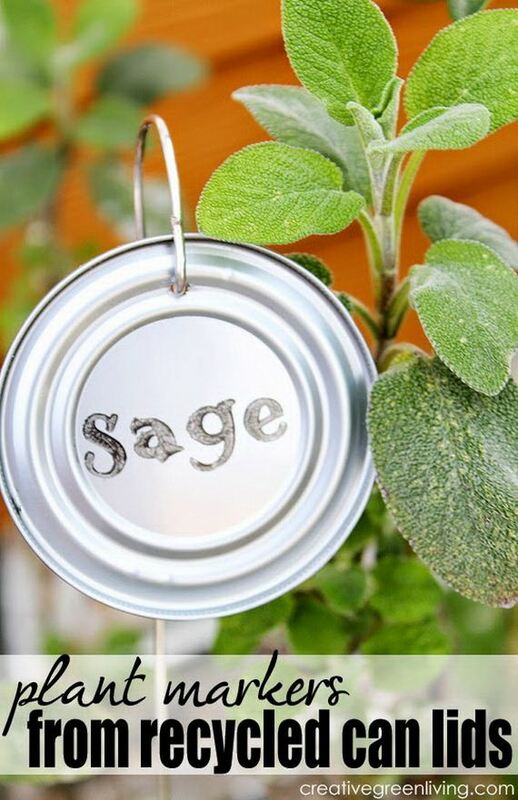 Get the tutorial via creativegreenliving. These glass bead stick markers are more on the sophisticated side than some of the other projects we’ve seen so far, as they are definitely more delicate and fiddly. They are quite beautiful and functional though. 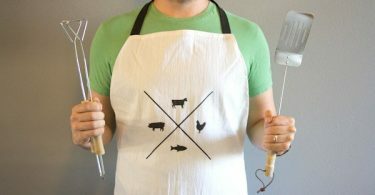 Get the tutorial via woojr. These antique spoon markers are a project to discharge your frustrations on, because you’re literally going to be hammering the stamps onto the spoons – after you’ve hammered them flat. The 3D effect of the words looks really cool and neat though, so you’ll truly be killing two birds with a hammer. Get the tutorial via intimateweddings. Get the tutorial via pagingfunmums. Get the tutorial via sayyes. 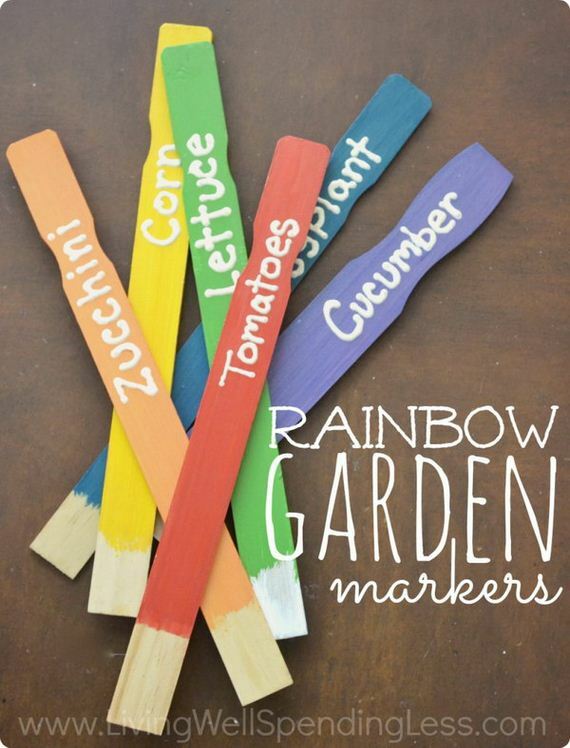 Chalkboard wooden markers are classic, and while you can buy them, you can also easily make them with old scraps of wood, wooden spoons or something else entirely. 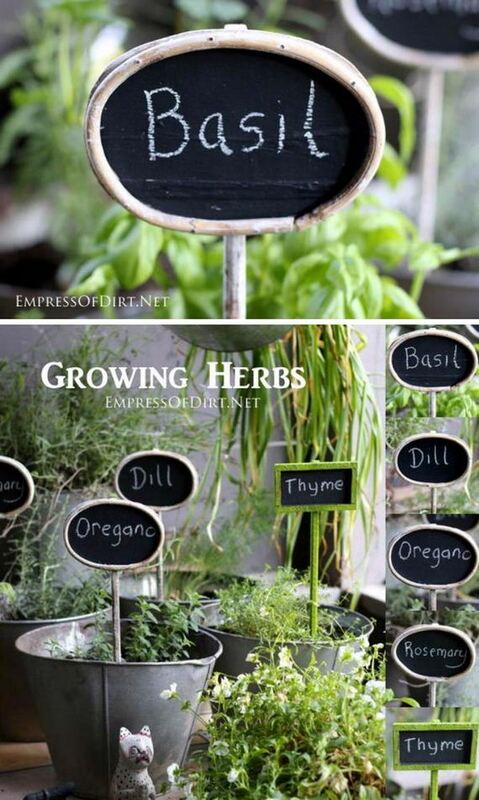 All you need to do is use chalkboard paint, add a stick or poker and place them. 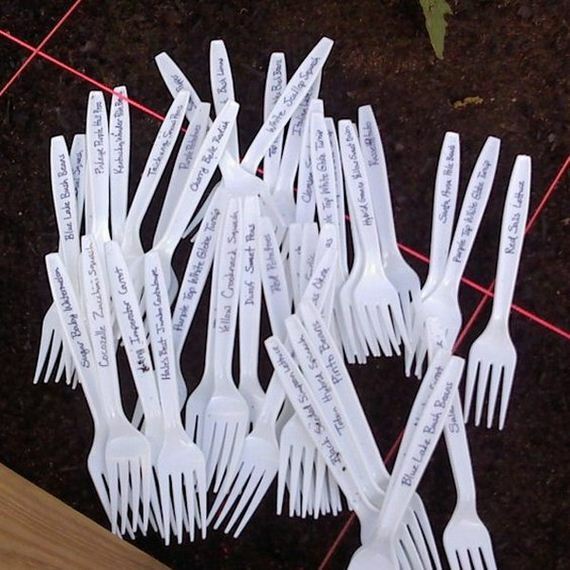 The best part is you can easily erase your plant name and change the markers around as you please. Get the tutorial via empressofdirt. Get the tutorial via botanicalpaperworks. Get the tutorial via cackleberrycottage. Get the tutorial via pinandpaper.